Love, this graph it shows what i had previously assumed. 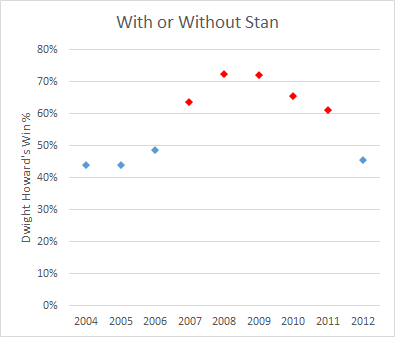 Dwight should have been clamoring to keep stan in Orlando he pretty much made his career. He figured out how to use him he got to Bogart rebounds and score using his main advantage SPEED & Athleticism not slow post moves he shot him out of a double screen that he was part of setting for a massive amount of dunks. a stat he’s led the league in a few times.